Tell us about Door to Door poetry? Door-to-Door Poetry is basically a glorified version of ‘knocky nine doors’… Except I don’t run away. I knock on a stranger’s door and ask them if they’ve got a minute to spare; if they say yes, I do a poem that asks them what’s important to them. Then I go away and write a poem about it, for free, bringing it back a few weeks later. I’ve been doing it for 2 years all around the North East, including in a mosque in Fenham, at the most expensive houses in the region and in a council estate in Stockton. And I’ve written a new show all about what happened… which is also called Door-to-Door Poetry. I was asking myself what it means to be a poet. I come from a working class family, so the idea of being a poet is a bit weird. I know a lot of people don’t think it’s a ‘proper job’, so I thought I’d try and turn it into one. As well as that, I was also thinking about the fact that not many people speak to their neighbours anymore. There’s a lot of fear towards strangers. So it’s become about questioning this as well. The possibilities are endless really: Door-to-Door Poetry in the North Pole, Door-to-Door Poetry on the International Space Station. I’m planning on taking the project national next, so there’s a few ideas bouncing around. I think a protest site could be interesting. Also, some house boats. I like telling stories in my poems, so I suppose the writers who do that have had a big influence. And there’s a long tradition of storytelling poets, from Homer, to Christina Rossetti, to Luke Wright. And who/what influences you from outside the poetry world? The biggest one is probably music. I’m on a bit of a Drum and Bass mission at the minute, I’ve got a London Elektricity mix that’s keeping me going on the way home from rehearsals. All sorts though. I went to the Van Gogh museum a few months ago. He only started painting when he was 27, I didn’t know that. But when he did, he dedicated himself completely to it. I find that really inspiring. What did you learn taking poetry door to door? You’ll have to come and watch the show and find out. I’m going to do a spot of door knocking in Salford next month. And I’m planning a national tour of the Door-to-Door Poetry show for autumn of this year as well. 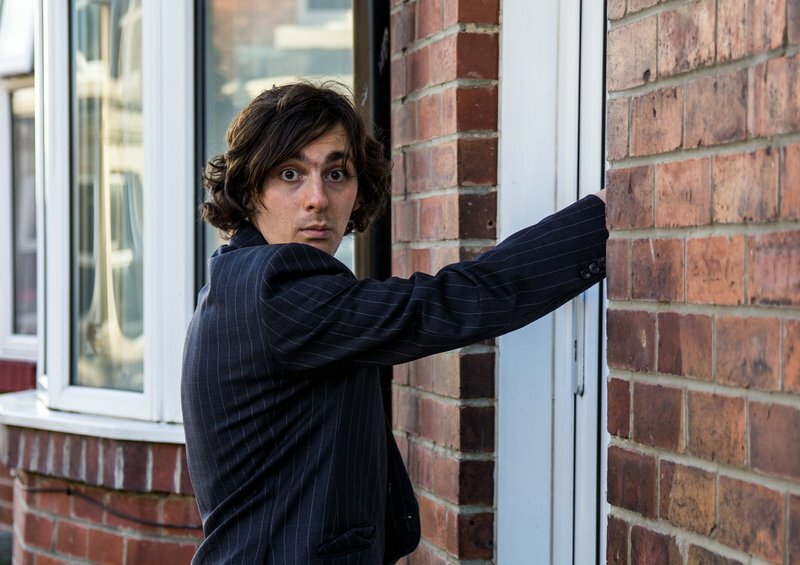 Rowan McCabe takes his show to ARC Stockton on Wednesday 11th April, The Peacock in Sunderland on Friday 20th April and Newcastle’s Northern Stage on Tuesday 1st and Wednesday 2nd May.